It has a been a very busy year at the food bank. 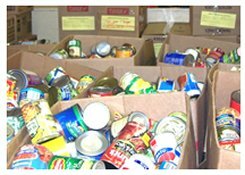 During the first 8 months of this year The Fort Mill Care Center has given away 200,643 pounds of food. During July and August we gave away over 21,000 pounds each month. Last week we calculated that we have just over 9,000 of food at the food bank. We need 12,000 more pounds just for September and another 22,000 pounds for October. We are at the Care Center Monday, Wednesday, and Friday 9 to noon if you would like to bring us a donation and our mailing address is P.O. Box 1401 Fort Mill, SC 29716.